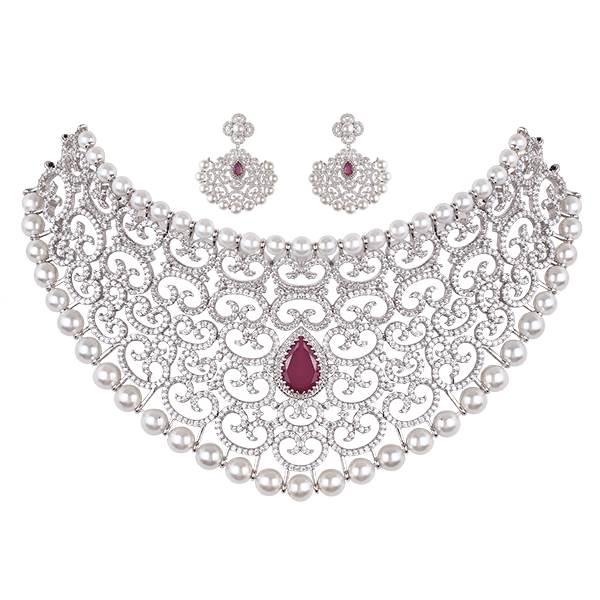 Choker set is made to look stylish and goes perfect with wedding attires. 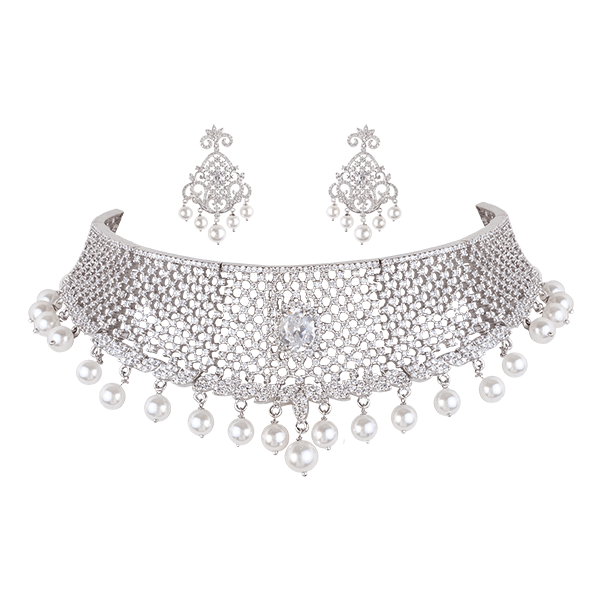 Wear your designer wedding costume and compliment it with this Choker set to look all fabulous and stylish. Let the world go gaga about your fashion statement. 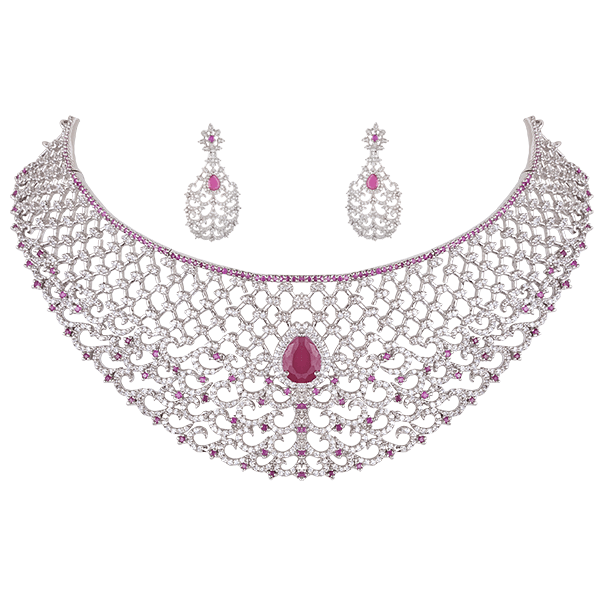 Be at the centre of all the attraction with this elegant and trendy Choker set. 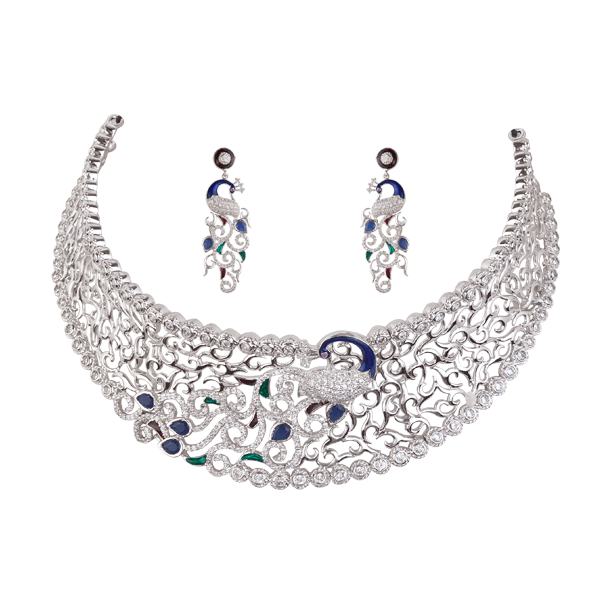 Tiara Silver Jewellery is one of the leading silver jewellery manufacturer and supplier in India. 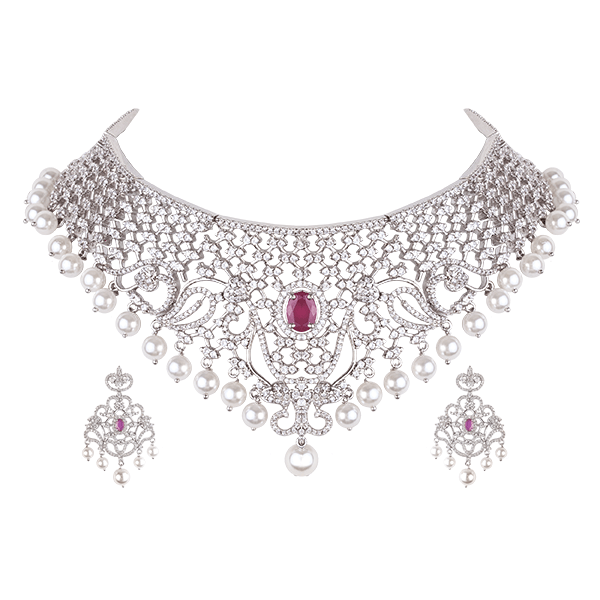 We are the manufacturer & supplier of Choker in India. 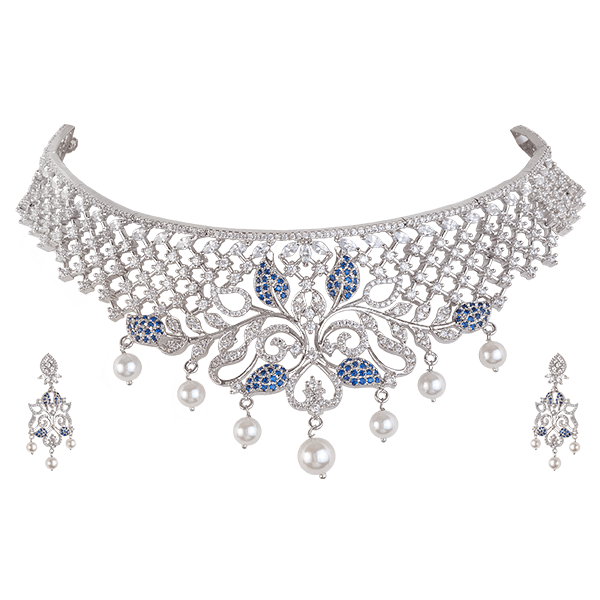 We make eye-catching designs of Choker for our clients both in India and various parts of the world. 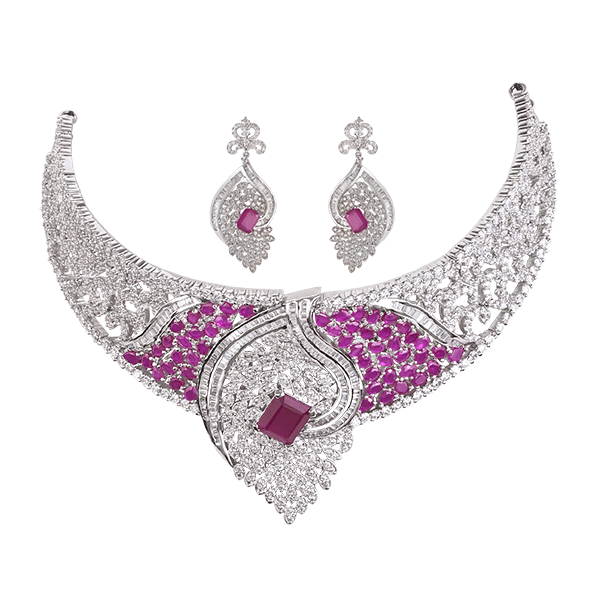 We specialize in making a variety of Necklace sets, Pendant sets, Kada, Bracelets, Earrings, Rings and Religious Jewellery etc. We also expertise in manufacturing Bracelet, Baju Bandh, Bangles, Choker, Cufflink, Chain Belt, Half Round Kada, Hathpan in India. 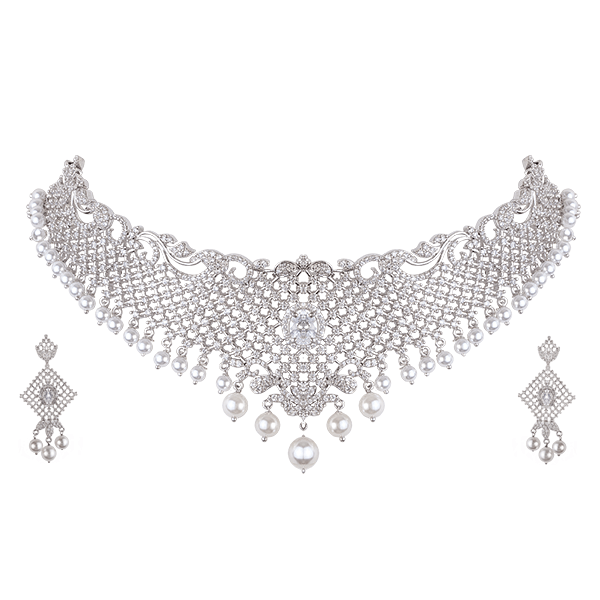 We are the Manufacturer of Choker in India, our Choker is supplied to all major cities of India like Delhi, Mumbai, Kolkata, Bangalore, Pune, Hyderabad, Chennai, Ahmedabad, Surat, Jaipur, Kanpur, Lucknow, Nagpur, Indore, Vadodara, Nashik, Mangalore etc.